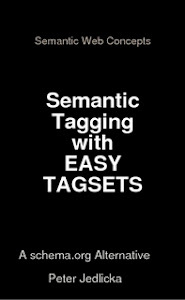 If you are someone who organizes events and you do not want to use html codes for tagging your events you can try the EVtagset suggested on www.tagsets.org - it will be the basis for our Eventcrawler. Copyright by Peter F. Jedlicka. Design "Einfach". Powered by Blogger.